Part-time jobs aren’t just for teenagers looking to earn money for college. These types of jobs are also a good fit for active seniors who want to do more than golf or play bingo. Working part-time helps you feel connected to your community and gives you a few other excellent benefits, including earning money for splurging and improving your mental health. Volunteer positions without pay are also good options for seniors looking to add more activity to their lives. In any community, there are a wide variety of volunteer opportunities to match your skills, from tutoring young children to managing a book sale for your local library. Volunteering is a good option for seniors who don’t need extra money and would like more flexibility in how often they work. The brain is just like any other part of your body; it needs exercise to keep it in good shape. Although hobbies can exercise your brain, maintaining a job requires more mental effort in order to stick to deadlines, arrive on time, and meet the demands of your assigned tasks. Opting for a mentally stimulating job that challenges your brain is an excellent way to keep your mind active. For example, if you’re not familiar with the latest technology, taking a job that requires you to learn more about computers will give you a challenge to look forward to each day and plentiful opportunities to exercise your brain. With a wealth of professional and life experiences, you may also find satisfaction as a part-time tutor or mentor. You carry a lifetime of learning, so sharing your skills and knowledge with others is a great way to give back to the community and potentially earn a bit of money on the side. The challenge of teaching your knowledge to others will keep your mind sharp and active; few activities force you to master your mind as much as teaching. As you age, your social calendar may seem a little empty. Family members may have moved away, and you might find it more challenging to visit old friends. Working at a part-time job gets you out of the house and into your local community. While you’re at your job, you’ll have a chance to socialize with your coworkers. If you get along well with your coworkers, you may even want to start having social events outside of work. Many jobs also give you the chance to interact with customers. Retail jobs, for example, are often part-time positions that allow you to spend plenty of time helping your customers. Although you might not form any lasting friendships with your customers, you’ll still have the opportunity to see plenty of fresh faces. Working the sales floor also gives you the chance to keep your social skills fresh and can give you a never-ending stream of amusing anecdotes. When you’re socializing with your friends away from work, the stories and skills you learn at your job will keep you in the spotlight. As you age, both your mental and physical health will decline. With frequent doctor visits and regular medication, it’s easy to focus solely on your physical health and overlook your mental health. There are several factors related to aging that can negatively impact your mental health, including isolation and a lack of meaningful activities in your daily life. This is often true for individuals who have worked for decades before retirement and suddenly find themselves without anything to do. 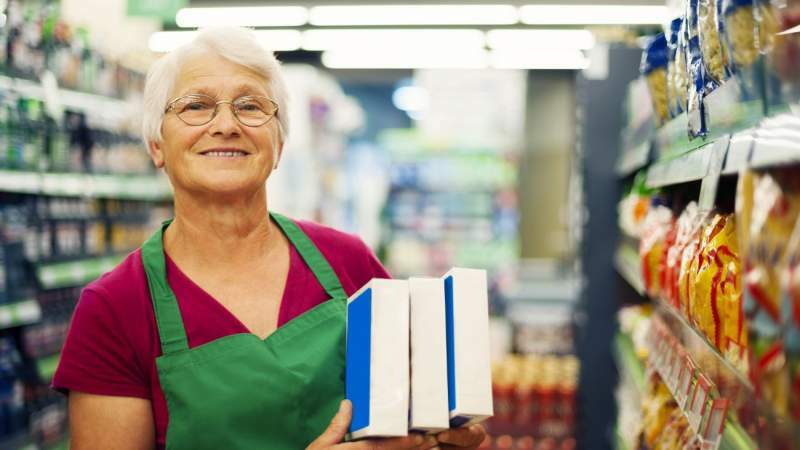 Getting a part-time job is one way to help combat the effects of aging on your mental health. Working a job gives you the motivation to leave your house and spend your time surrounded by other people. With a job, you’ll have a sense of purpose and a good reason to take good care of yourself. In addition, you’ll have a steady supply of people who are invested in your life and can help pick you up when you’re feeling down. Even if you have a healthy nest egg, it’s not a bad idea to have some extra change jingling in your pocket. More money means you can feel justified in taking an occasional splurge on a fancy dinner or coffee. In addition, more income means that you’ll need to withdraw less money from your investments, allowing them to continue to grow. Although part-time jobs don’t typically come with hefty paychecks, you might be able to get a decent starting wage based on your previous work history. If retirement has left you feeling restless and itching with boredom, finding a part-time paid or volunteer job might be the answer to your problem. Working a job is an excellent way to keep your mind energized and challenged, helping to boost your overall health. These opportunities can also help you maintain a strong connection with your community and give each day a meaningful purpose.